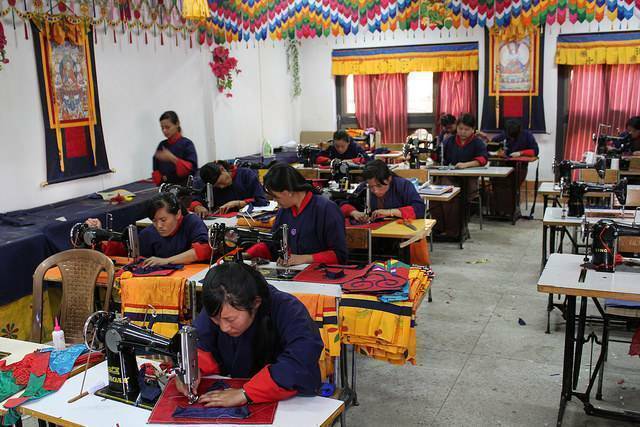 For a long time, arts and crafts have been used as instruments to convey the rich Bhutanese heritage. Traditional crafts or Zorig Chusum represent hundreds of years of artistic knowledge and ability that has been passed down through generations, and the National Institute for Zorig Chusum, or popularly known as the ‘painting school,’ endeavors to preserve the same. The school provides specialization courses in the thirteen traditional arts, including painting, sculpting, and embroidery and woodcarving. Surrounded by a garden of flowers, the Institute is beautifully decorated and can be visited any time during the school hours, where one can witness the fascinating creation of Buddhist arts and crafts unique only to Bhutan. The tour does not last longer than two hours and the wares made by students are showcased and sold in the Institute shop.